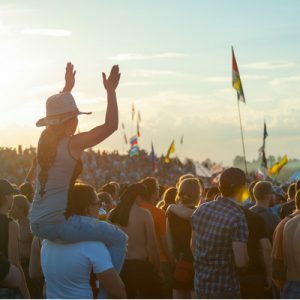 With summer well under way, and outdoor events seemingly around every corner, the safety and enjoyment of both visitors and employees is paramount to a successful event. So, whether it’s a summer festival, sporting event or even a Christmas Markets, MVIS deliver flexible solutions that allow event managers to provide information and respond to event changes effectively and in an instant. With our innovative VMS and CCTV technology, you can provide fast, high impact communications to ensure the safety and enjoyment of your visitors. Our Variable Message Signs (VMS) present clear information from event schedules, car parking information, safety information, road closures and opening times, as well as the ability to display pictograms useful for sponsors and advertisements. This ensures that visitors remain safe and have a positive experience of the event. Solar-powered and portable, our VMS units avoid costly ground works and can easily be moved across sites to areas where messaging is needed most. What’s more, our VMS units can be easily updated through any Apple device, to provide real-time updates for any changes to information. Furthermore, our CCTV technology is an effective way for event managers and security teams to monitor crowds, assessing crowd numbers, movement and behaviour, to ensure the continued safety of attendees. CCTV enables potential problems to be identified and dealt with before they escalate. Unlike traditional static CCTV cameras, our Pan Tilt Zoom (PTZ) CCTV systems uses the latest technology to enable event managers to manoeuvre the camera to focus on specific areas, and when combined with our innovative Web Studio™ technology, CCTV footage can be viewed from any laptop, tablet or smart phone, ensuring that critical safety information can be accessed by those who need it. Looking to hire CCTV and VMS units at your event? Get in touch with our expert team today on 01629 580570 or email sales@m-vis.co.uk to find out how we can help you.